Following on from two tasty EPs recently collected with bonus tracks onto the compilation ‘Both Types Of Hay Fever’, feisty London four-piece Fightmilk deliver their first full album of guitar power pop…..
3. Lucy Driven by a sustained riff à la ‘Sweet Child O’ Mine’ this is the shortest track; a compact blast with belting chorus and melody, one of Lily’s best vocal performances. 4. Summer Crush It’s that bass again, jumping around under plenty of guitar tricks in this summery anthem with a bittersweet lyrical undertone ‘….a six week sugar rush….‘ that implies it is not all good. 5. Dream Phone ‘… I fell in love at the dial tone…’; beginning with that evocative sound, yes, I probably have fallen in love with this track already, recalling Blondie Hanging on the Telephone and ELO(!) on their Telephone Line. The third of the trilogy of pre-release singles this is a real grower, with pacey backing, great hookline and a strange dreamy atmosphere due to some adventurous electronic drum patterns and echoing guitar. 6. Not Going Anywhere With a superb descending chord sequence, this seems to be an irony-free evocation of childhood insecurities and family life. As on many of these tracks the guitars do so many nuanced but loud twists and turns to make this a great listening experience. 7. Four Star Hotel Trying to rescue a relationship by holidaying in Amsterdam is turned into a tale of regret and paranoia ‘….and all the cyclists were staring…’ (should have come to Cambridge, the cyclists are too polite and reserved to stare…). The nihilistic sentiment is set to a rollicking tune with excellent drumming. This also features another trademark of the band’s vocals, the ‘Greek Chorus’ call and response at the end for emphasis. 8. Over An anthemic love song, straight into ‘…I’m gonna fall for you, over and over…‘ with dense layers of backing, a bit of guitar solo and enormous drums. The repeated overlapping hookline makes the meaning very clear. 10. Your Girlfriend Previously released but re-worked for this new album, this musical tour de force is a superb song, stealthy and sinister with minimal verses giving way to a singalong chorus. Dissonant guitar, caustic lyrics in a turmoil of mixed emotion and another fine middle eight, ‘..I don’t have a pencil case but if I did I’d write our names…’. The band are on top form for this epic with another great vocal too. 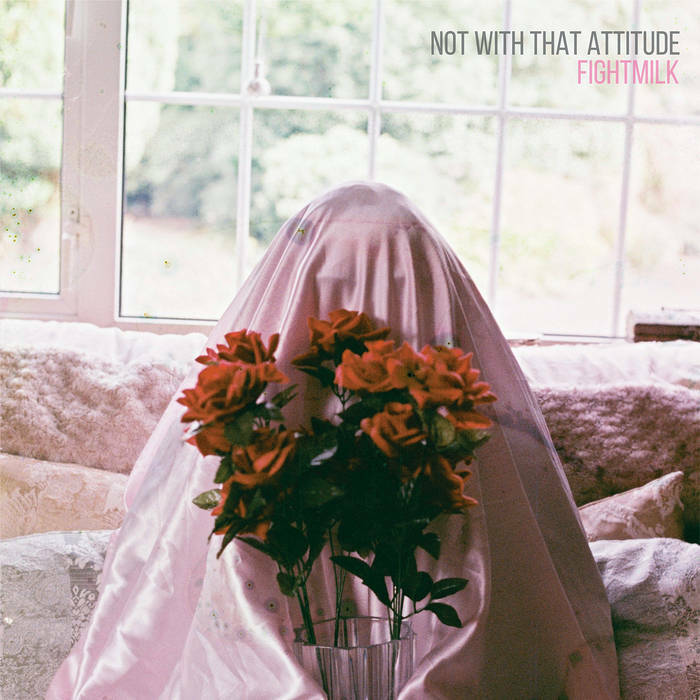 This entry was posted in Music and tagged album, Fightmilk, LP, Not With That Attitude, review on November 5, 2018 by iknoweno.